Come here for all your apparel needs. Our Catalogs offer endless choices for T-Shirts, Polos, Pants/Shorts, Outerwear, Athletics, Youth, Infant/Toddler, Workwear, Sweatshirts, Towels, Bags, and more! Shop by Brand, Category, or Fabric to find exactly what you need, our Catalogs have it all. 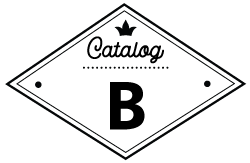 Choose from our A, B, or C catalogs found below to find the very best apparel available from us! Bella, Gildan, Next Level, Anvil, Hanes, Rabbit Skins, and more! Nike, New Era, District Threads, Ogio, Port Authority, Hanes, and more! Augusta, Champion, Dickies, Anvil, Devon & Jones, Gildan, Alternative, Alo, Hanes, Rabbit Skins, and more! Don’t see what your looking for? 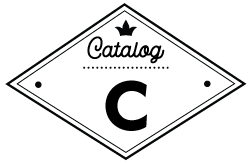 That’s alright, we have even more catalogs for you to choose from below. With a product selection second to none, they stock the best selection the industry has to offer -from basics to unique styles from exclusive brands. With several warehouse locations, products can arrive quickly for tight turnaround times. Top brands include: Adidas, Alternative Apparel, Anvil, Augusta, Badger, Bella, Blue 84, Boxercraft, Champion, Comfort Colors, Gildan, Hanes, J America, LAT, Next Level, Oakley, Rabbit Skins, Red Kap, and Richardson. Next Level Apparel delivers the latest fashions with superb quality incorporating innovative fabrics that are heavenly soft at a value that is second to none. Their outstanding color palette, up to date styles and fit continue to define us as one of the leading suppliers of fashion blanks in the US market. The addition of a distribution network brings the hottest brand in the market to your doorstep. Their WRAP certified (Worldwide Responsible Accredited Production) factories are dedicated to ethical standards of conduct; they respect the rights of all individuals and care for the environment. In addition to being sweat shop free and child labor free, they take social responsibility to the next level in everything they do. Pro-Celebrity by Tee Top of California, Inc. was founded in 1977 in the Los Angeles area as an apparel manufacturer and distributor. Every day, Pro-Celebrity strives to create quality apparel. Behind every stitch lies our biggest effort to be your number one choice in the team and corporate world. For the last 37 years, not a day goes by that we do not carry out this commitment of excellence in our designs, quality, and most importantly, service….read more. For promotional products rather than apparel click here.